2008 U-19 World cup, India team ni oka 19 years young teenager lead chesi team ni finals varaku tiskelladu. Tana arrogant attitude and captaincy tho young team mates ni encourage chesthu Malaysia lo jarigina U-19 World cup trophy tho India vachadu aa young cricketer. Atanu national cricket lo ki ravadaniki ekkuva time pattaledu, 2008 Aug lo Indian National Cricket loki entry icchina ee young cricketer first match lo just 12 runs ke out aiyyadu. 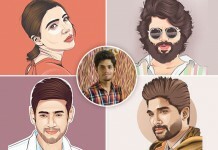 Toofan vache mundu nishabdam ani appudu evaru oohincha leka poyaru. Cut cheste 24th December 2009, Eden gardens opponent Sri Lanka mida 107 runs tho tana debut century chesina ee young cricketer milestone akkada start aindi ante ippati varaku addu lekunda saguthune undi. Home ground aina, foreign ground aina, opponent Australia aina South Africa aina atani batting lo ea matram theda undadu. Okkasari ground o adugu pettaka atani tana enthusiasm, zeal, and arrogance mundu ea bowler aina atani batting mundu baladoor ea. Second innings run chase cheyadam lo atanu masters chesadu anukunta.. anuduke opponent bowlers ni adavi lo puli la ventadi vetadi tons of runs cheyadam ataniki butter tho pettina vidya. Records ki c/o address, centuries atani kosam wait chestha untayi, dressing team lo India team members nundi Indian cricket fans varaku andaru atani way of batting ki, captaincy ki dasoham avvalsinde. 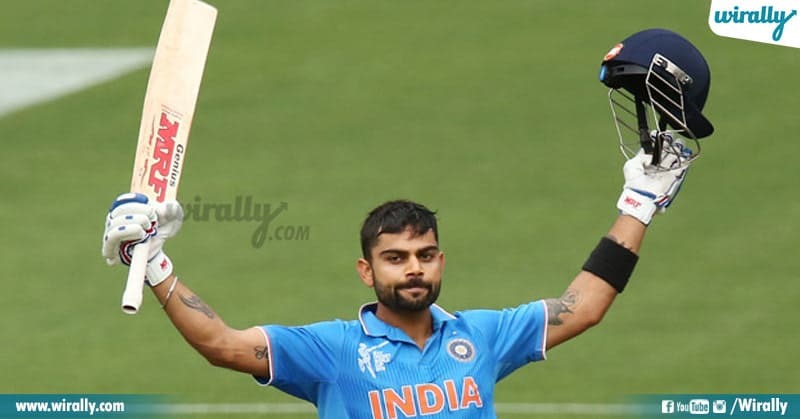 He is none other than our one and only rebellious captain of the ship ‘Virat Kohli’. 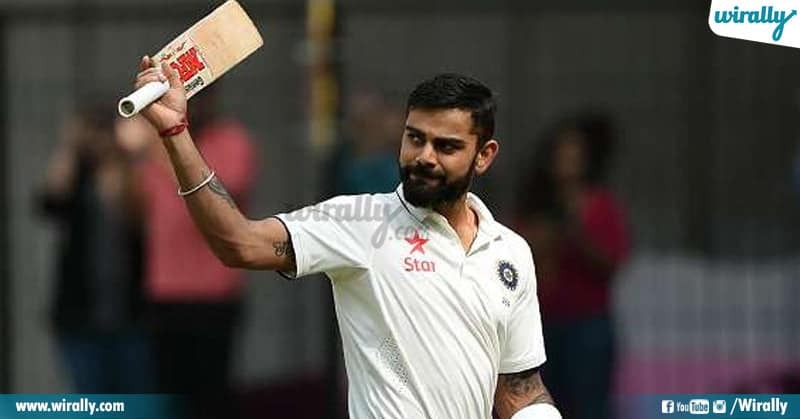 Here is our ‘King Kohli’ the best milestones. He is the fastest cricketer to reach 10,000 runs in 205 Innings. And he is fifth indian batsmen after Sachin, Ganguly, Dravid and Dhoni and 13th player with all other teams. 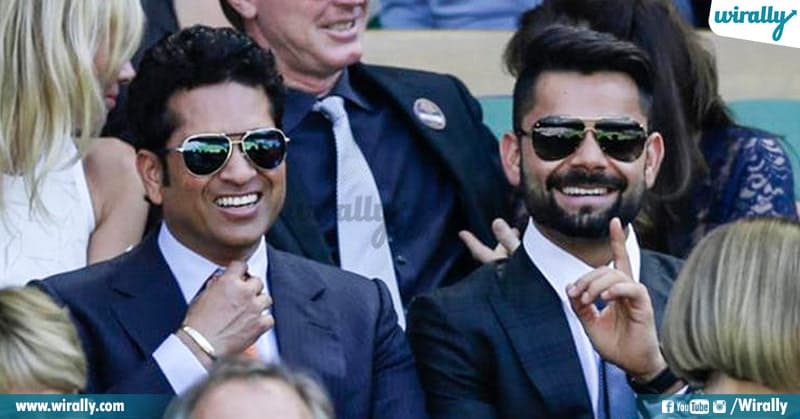 He holds record of most 38 centuries in ODi’s after demigod Sachin who has 49 centuries. 3. Tendulkar took 232 innings to score his 17 centuries. Sachin ni media okasari mee records beat chese capability unna player evaru ani ankuntunaru anna question ki Virat and Rohit ani answer chesadu. And Sachin anna matalani serious ga tiskunnado emo Kohli tana first 18 centuries just 102 innings lope finish chesadu. 4. Third player in the list of most runs in calendar year. 2017 lo three formats lo 46 innings adina Virat, aa calendar year lo 2818 runs tho Indian players mida unna previous best records anni beat chesadu. He scored 1460 runs in 26 ODIs, 1059 runs in 10 Tests and 299 runs in 10 T20 Internationals. 5. Second-most player of the series awards. 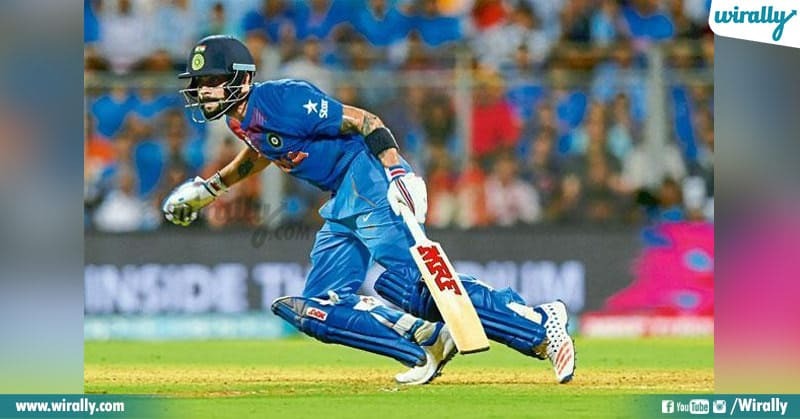 India team team lo evarian fail avochu emo kani Virat never ever. Adina prati series lo minimum score cheyadam ataniki butter tho pettina vidya. 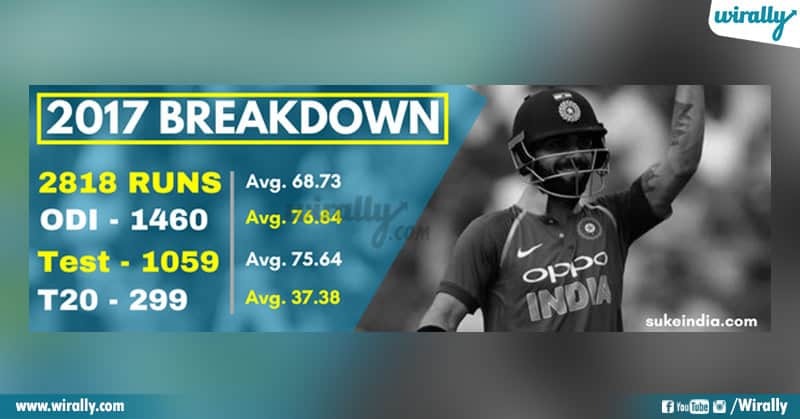 Minimum average maintain chesthu centuries mida centuries koduthu ippatiki 14 times player of the series ga nilichadu which is best for Indian cricketer. He’s not only batsmen, captain, and husband, he’s a enigma and great inspiration to youth of india. He is closely followed by every youngster of nation not only a media or cricket fan but everyone.